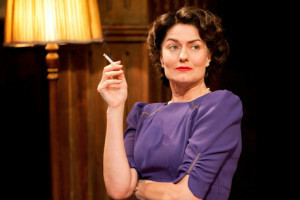 THEATRE: A double bill of school dramas, David Hare's South Downs and Terence Rattigan's The Browning Version open at the Harold Pinter Theatre tonight. His Greatness, an intimate insight into the elderly, failing mind of Tennessee Williams opens at the Finborough Theatre on Friday. Over at the Theatre Royal Stratford East, you can see The Big Life, an acclaimed ska musical inspired by Love's Labours Lost. It runs for just two nights: Friday and Saturday. And don't forget that the Globe Theatre's brave, international Globe to Globe season rumbles on: China, Korea, Greece and Kenya are among the countries displaying their theatrical prowess this week. DANCE: We've got one dance recommendation for you this week: Ballet Revolucion opens at the Peacock Theatre tomorrow: the Cuban troupe promises an explosive fusion of classical ballet, contemporary dance, salsa, samba and hip hop. With a little bit of martial arts thrown in. OPERA: Two choices for opera lovers this week: the ENO presents Wagner's The Flying Dutchman at the London Coliseum from Saturday; La Boheme opens at the Royal Opera House on Monday. ART: Tomorrow, Out of Focus: Photography opens at the Saatchi Gallery. It's the Saatchi's first major photography exhibition since 2001, and presents work by 37 international artists including Mat Collishaw, Katy Grannan, David Noonan, and Nicole Wermers. Entrance is free. 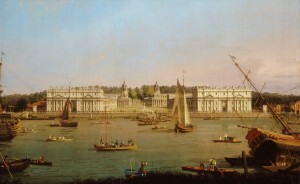 On Thursday, the National Maritime Museum's big new show: Royal River: Power, Pageantry and the Thames opens, all ready for celebrating the Queen's Diamond Jubilee, and the museum's 75th anniversary. At Somerset House from Friday, you can see the World Photography Awards Exhibition featuring contemporary documentary, sport, portraiture, landscape and fashion photography by professional and amateur photographers. CLASSICAL: The Brodsky Quartet is one of the world's leading string quartets. The group have previously recorded all 15 of Shostakovich's seminal string quartets and this weekend they perform the whole lot live at Kings Place. WORLD: The finale of the La Linea Festival is at the Barbican on Wednesday and it should be a stonker. The Afro Cuban All Stars are an old-style orchestra who will keep the Barbican Hall dancing to irresistible Cuban rhythms all night. Anything we’ve missed that you’re really looking forward to seeing this week? Let us know in the comments below. We also have listings for ongoing shows at London’s top museums on our Museums and Galleries page.